Buckeye, Arizona to/from Phoenix Sky Harbor International Airport (PHX). Great Flat Rates! More often than not, our town car flat rate fares to and from Buckeye and the Phoenix Airport (PHX) are less than taxis charge for the same service. So, why travel in a taxi when you can travel to the airport in style and comfort in any one of our luxury vehicles. >> VIEW OUR RATES. A Luxurious Vehicle Fleet. Whether you are a single executive, traveling couple or a large group, Roadrunner has the right vehicle for you. Depending on the amount of passengers, Roadrunner Limousine’s fleet includes town cars, limousines, SUV’s, passenger vans and even 30+ passenger coaches. All our vehicles are clean, comfortable, private late model luxury vehicles equipped with GPS Navigation systems. 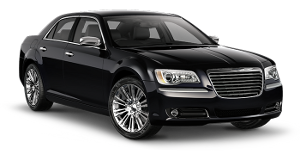 So, why take a bumpy taxi from Buckeye to PHX when a luxury vehicle is available at Roadrunner Limousine? Roadrunner Limousine, serving Buckeye and Phoenix, Arizona, provides exceptional service for its executive clients. Our executive guests expect reliable, convenient and comfortable transportation to or from Buckeye and the Phoenix Sky Harbor International Airport. As important as it is to provide our executive passenger with optimum service, working effectively with their executive assistants and travel coordinators makes everyone’s job easier. For them, we have a state-of-the-art online booking and account monitoring system accompanied by a highly trained staff to help develop and execute the most sophisticated travel plans that any busy executive or corporate group might need. First Time Coming to Buckeye, Arizona – Did You Know? Founded in 1888, this western most community of the Valley of the Sun is home to over 20,000 people. For the past 20 years, growth in the greater Phoenix area has been robust in three of our four quadrants of the region. With those areas rapidly nearing build out, the last frontier rests in the southwest valley and the Town of Buckeye. Hassayampa River to Perryville Road, to be built out. As Arizona’s biggest “small town,” we still enjoy the great feeling of a small community. Buckeye celebrates Countryfest in the fall, Pioneer Days in the spring, and a great family Fourth of July. Currently there are over 240,000 homes planned in Buckeye. Given the size and number of the master planned developments within the Town limits, the population will explode to over 100,000 by the year 2010. Along with homes, there are world-class retail, entertainment, health care, education, and employment uses planned. Buckeye is fortunate to be intersected by five highways, home to a general aviation airport, and served by the railroad. Virtually every major mode of transportation makes Buckeye accessible from multiple points. In addition to this, the Town of Buckeye sits on the state’s largest untapped groundwater aquifer, the Hassayampa River Basin. And the majestic view of the White Tank Mountains from every vantage point creates a unique and unparalleled landscape. This once sleepy agricultural town is at the dawn of a new era, and those residents who are proud to call Buckeye home have found a great place to live, work and discover the best that Arizona has to offer.